I've had such a great weekend! The movie was HILARIOUS! I was laughing out loud the whole time, definitely one to see with the girls! and I couldn't resist getting a few things from Lush while I was out..
Today I'm gonna grab a good book, a cup of tea and just cosy up and read. God I love weekends! 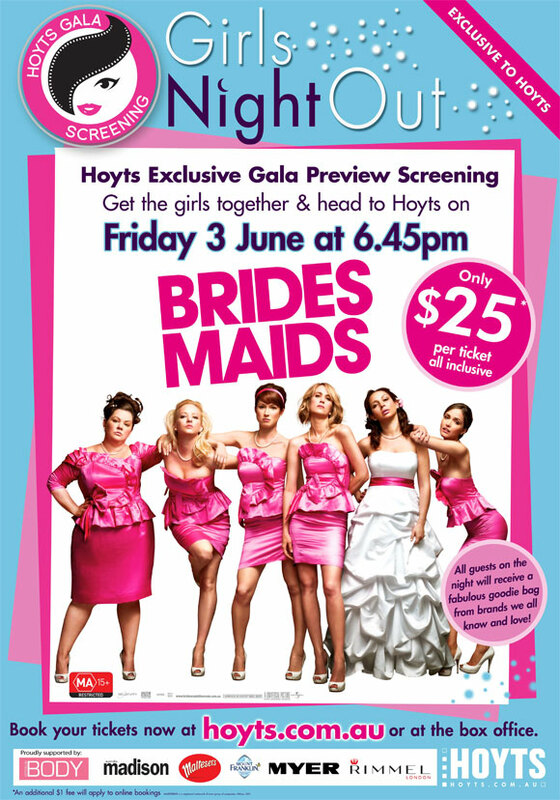 Can't wait to see Bridesmaids! I've heard so many good things about it. Cool gift bag! bridesmaids looks so funny, even my boyfriend thought so from the preview. cannot wait to see it! I cannot wait to see that movie! Glad you liked the movie. I loved it. I have heard such good things about this movie. I did the same as you today sat on my hammock in my thermals reading. That movie sounds really good, I want to see it! I thought those lush products were food at first, they look so good! I seriously need to buy Lush stuff soon! I loved that movie! I might have to go see it again! I love that you got to attend a special event with a goodie bag in tote to see it! thats awesome!I bought my iPhone 4 in November.I am absolutely in love with it.I take all my photos with it. I can't wait to see that film, hope you're having fun with the iphone! Your week seems perfect! And I really want to watch the film, looks good. Congrats for getting an iPhone! your blog looks very nice. Im so jealous of your comfortable weekend ! !